Wow its Saturday! Congrats on your weekend folks! We have a little family reunion to get to over here, but before I pop my brownies out of the oven and hop in the car with the family, I'm excited to share a cute and simple DIY! I know you've seen these before, but you've probably not guessed just how fast and easy these would be to put together am I right? Well they are! Just a few little household supplies and some hot glue and you'll have them put together in no time flat. Step #1. 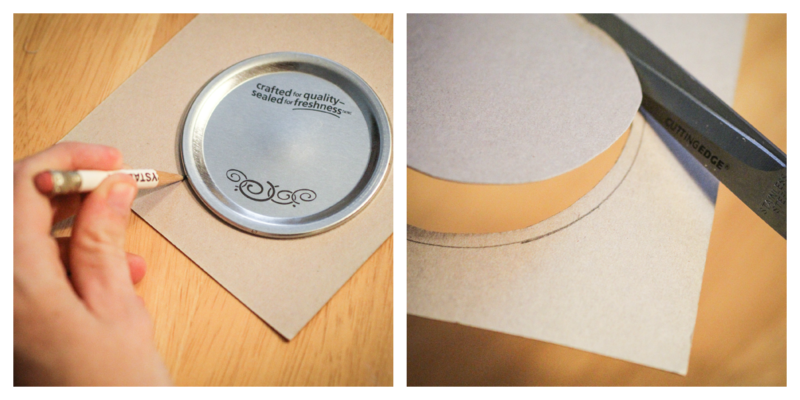 Trace the metal lid onto the piece of cardstock, then cut it out about 1/8th of an inch inside your traced line. Step#2. 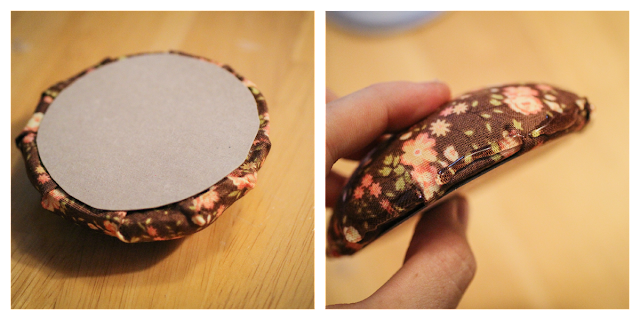 No trace the metal lid again but onto the back of your fabric scraps leaning about 1 inch of space all the way around. Now start blumping the batting into your fist until you have a good fistfull and cut it off. Step #3. 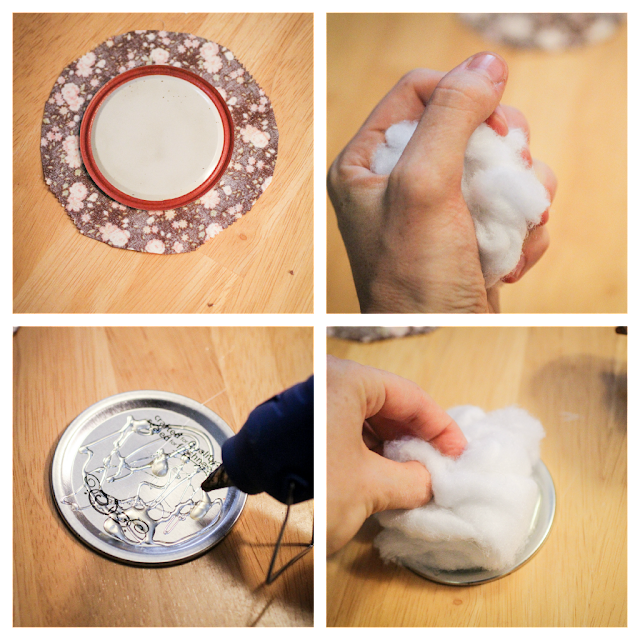 Spread a little hot glue on the top of your metal lid and press your fist-full of batting onto the lid. Turn in upside-down onto the back of your fabric circle, press down, and begin gluing your fabric to the underside of the lid (where the rim meets the lip of the jar). 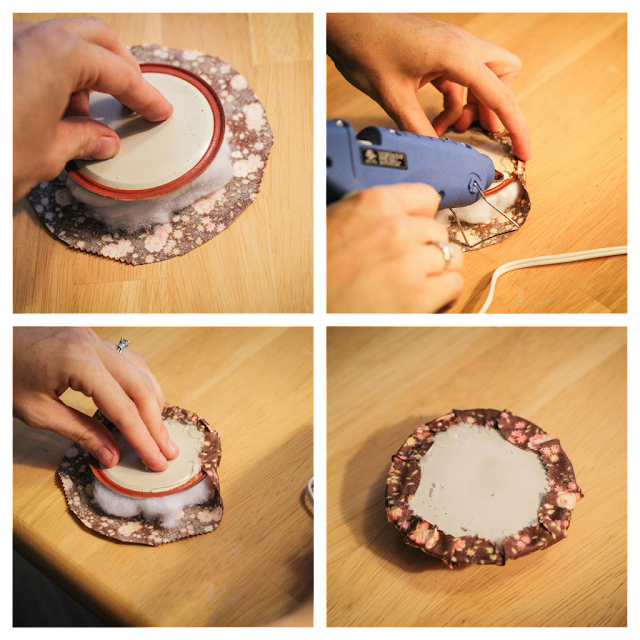 Work your way around the whole metal lid, securing the fabric as best you can with the hot glue while trying to avoid too much bulk. Here's to a fun and frenzied weekend! haha What's something exciting you have planned before the work/school week starts again? Tell all! This is ridiculously cute. I wouldn't have even thought of it! I'm totally making one for my aunt this Christmas. This is such a cute and easy idea! Thanks for sharing! That is so cool! I will havvvee to try this sometime! This is so adorable! Great DIY! Hi, thanks for dropping by my blog. I'm your newest follower. Great post. A very cute and clever idea. Looks easy too. Thank you for stopping by All Natural Katie. I am in love with your site. So many great posts! I look forward to reading more. 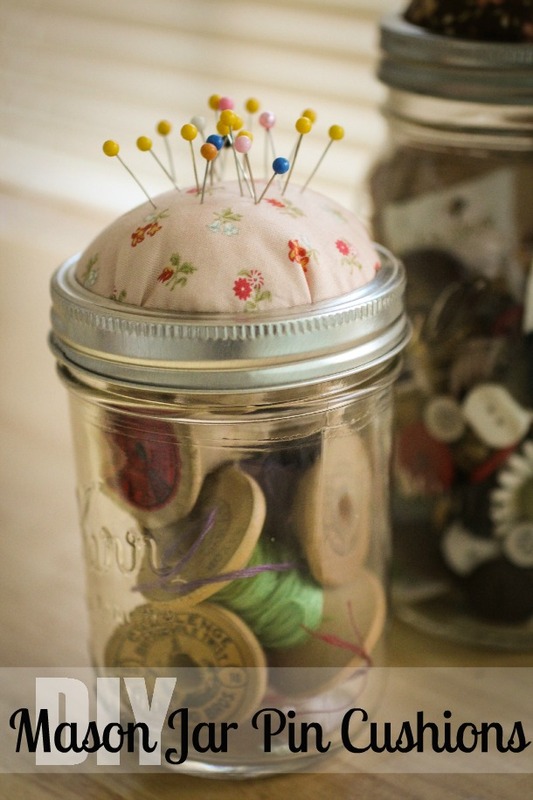 The mason jar pin cushion would be a great idea for a sewing kit gift. Thanks for a great tutorial! 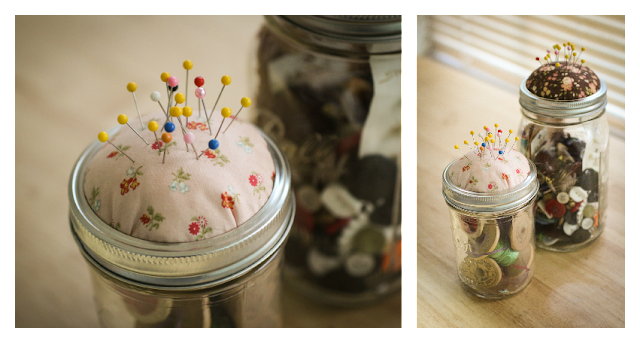 I so need a pincushion and storage too? Great idea and easy too. Great gift idea. Pinning now! 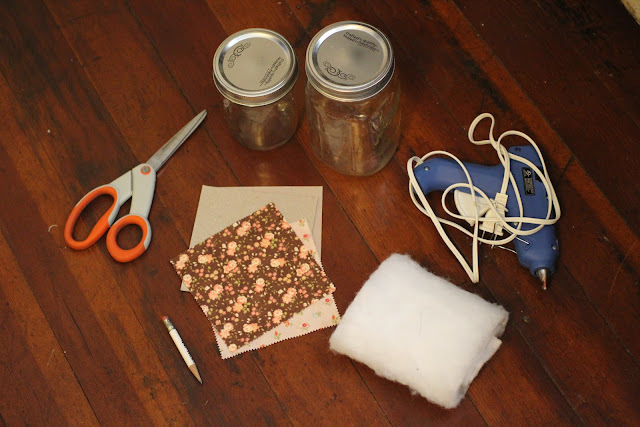 I love mason jars and how handy to keep sewing supplies together! HOw clever! this would make such a fun gift for my mom! she is always hard to shop for! So cute - even I (a non-sewer) could do this! That is so cute. Thank You Emily for sharing. I did recently a wallet tie and a tie purse. I post the projects in my two blogs.